If you've been a follower or reader for quite a while, you'd know how much of a change my lifestyle had taken a turn for these past few years. As much as I love to eat out, these days, I highly prefer home-cooked meals -- especially food I prepared on my own. Not saying that meals I cook are tastier as I know I still have to get my fill from restaurants from time to time. 'Cause hey, I also get tired of my own cooking! But for health and fitness reasons, I find that it's easier to track what goes into my food, as well as the macro-nutrients I need to hit my goal. It's also more flexible and easier on the wallet! This macro-nutrient requirement talk might be a bit intimidating for a beginner. But if you find the need to learn more about it, here's a post I've previously written to ease you in on meal prepping. 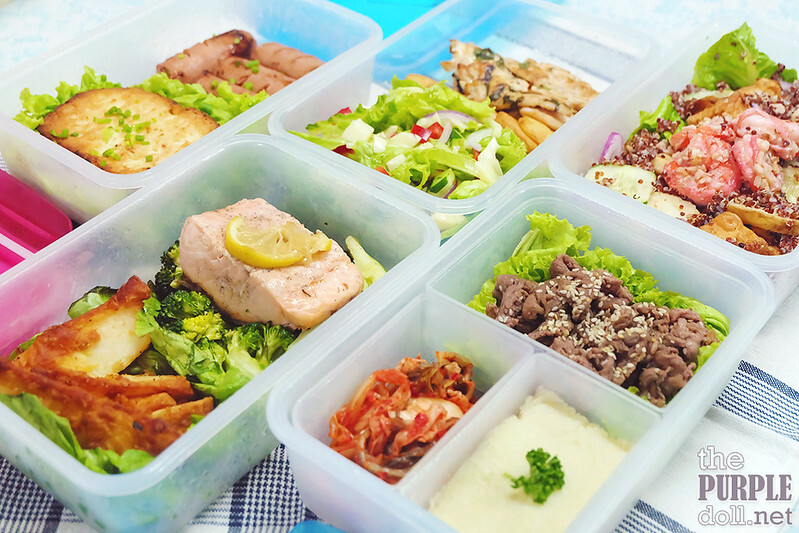 As for those of you who already want to get on board with meal prepping, let me share with you these five easy-to-follow ideas which you can use for your next food prepping session! Here's a breakfast-y meal to start your day. You can choose your preferred kind of sausage for this. In my case, I went for beef franks since I like how they taste with leafy greens. The US frozen hash brown is also an easy way to add more carbs into the meal. And let's be honest, a good start of the day starts with breakfast staples! You can also add a boiled egg into the mix if you like. I just skipped that part since I went for a microwave-friendly meal, as with everything else on this list. 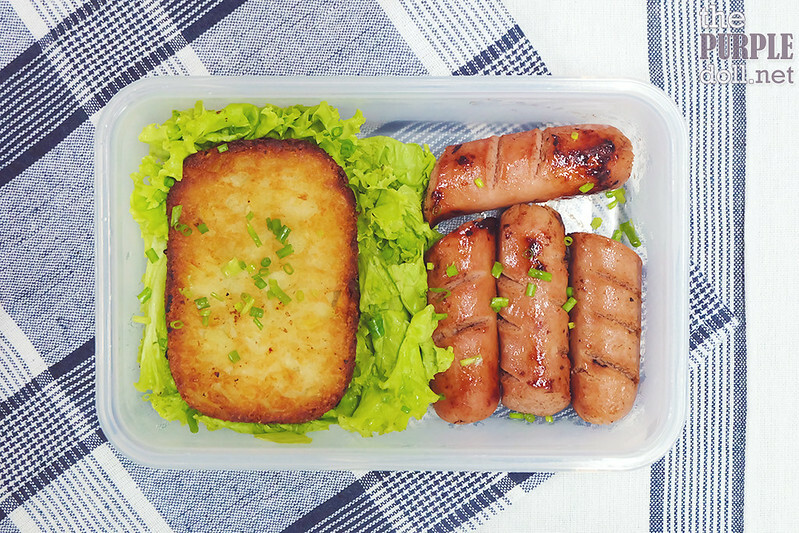 Perfect for lunch or even dinner, this meal is one of the easiest to prepare. Season the thin beef slices with salt and black pepper, and cook in a little sesame oil. You can also throw in some sesame seeds to make it even more appetizing. 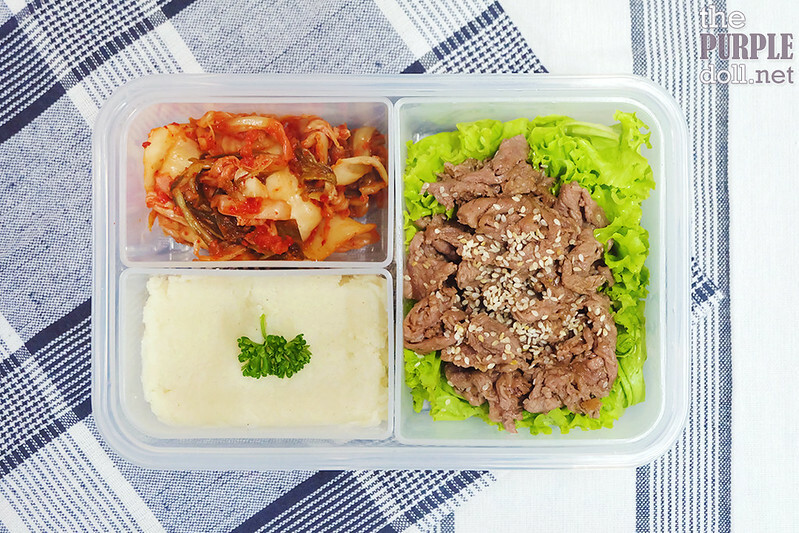 Paired with some lettuce and kimchi, this can help curb that craving for some Korean BBQ. And to make the meal more filling, have some mashed potatoes on the side. If you think mashed potatoes are tedious to make, think again! If you use dehydrated US potato flakes, you're bound to cut the prep time by more than half. Here's how to make Easy Mashed Potatoes using US potato flakes. One of the more nutritious proteins (and good fat) to have is salmon. You can have it pan-fried, steamed, baked, or even boiled. Just season it with salt, pepper and a squeeze of lemon, and you're already on the road for a good meal. 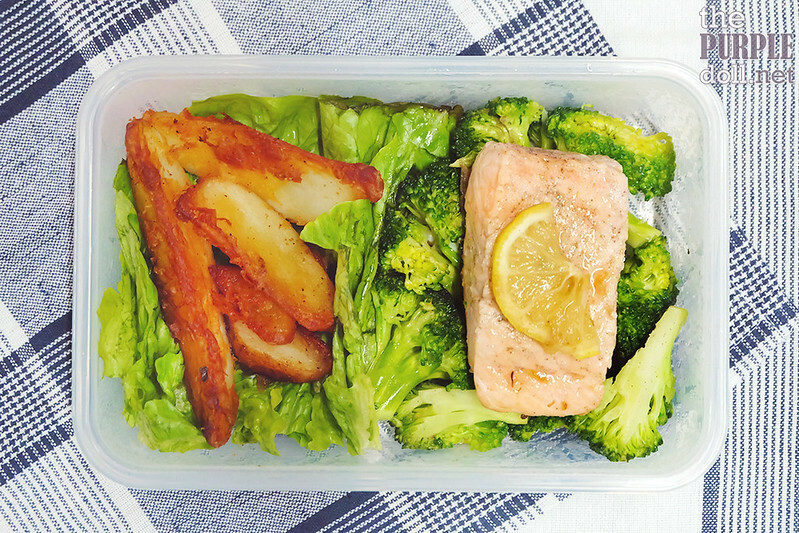 For carbs, have it with a side of leafy greens, broccoli -- steamed or stir-fried, and US potato wedges. This is a nutritious meal that is filling and tastes good! This was my dinner last night, and boy was it delish! Chicken breast fillet has got to be one of my favorite proteins to use as it's so versatile. For this dish, I only seasoned it with salt, black pepper and chopped fresh basil before pan-frying it. On the side is a Mediterranean-inspired salad with greens, cucumbers, red onions, bell pepper and olive oil-balsamic vinegar dressing. As I didn't have feta cheese on hand, I substituted with mozzarella. 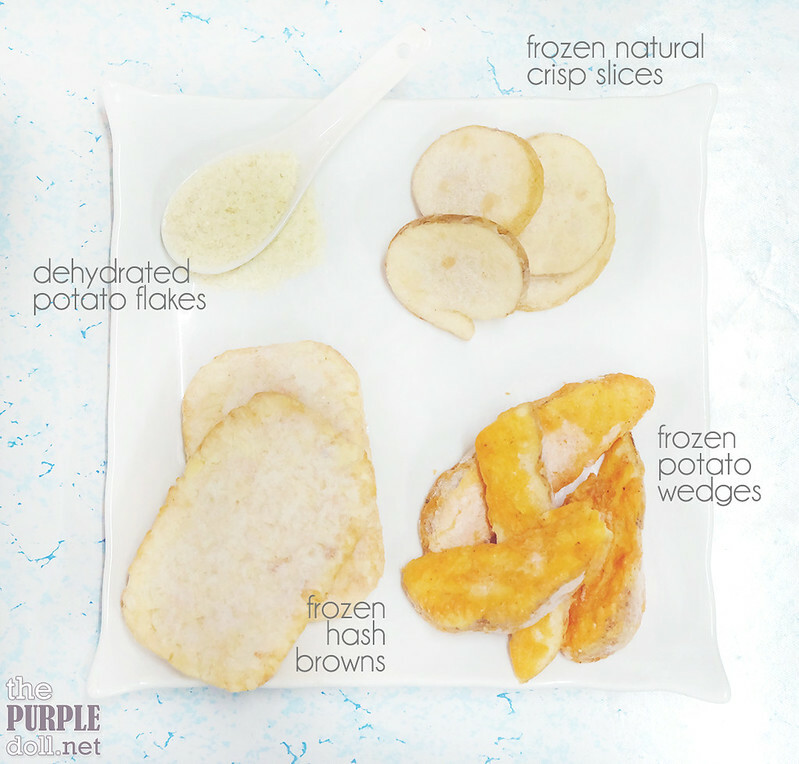 Pairing everything with a few slices of frozen US potato crisps added another dimension and crunch to the whole meal. Yum! Unlike the first four on the list, this might look daunting to someone not entirely used to eating healthy. But trust me, this tastes good! Quinoa is a gluten-free whole-grain food which is more slowly digested than refined-grain counterparts. I've been having it from time to time since 2015, and it does feel more satisfying for longer and adds a nice crunchy texture to meals. Mixing cooked quinoa with cucumber, red onions, US potato crisps and lettuce makes for a nice and filling salad. This will also pair well with different oil-based dressings of your choice. But if you're not used to quinoa, feel free to up the quantity of potato crisps to get the amount of carbs your body needs. I do this for my lil sis when I make her a less-daunting version of this salad. The familiarity of potatoes can help those who aren't used to eating salads ease their way into it. This applies even to other salads as well, and not just with this quinoa salad. 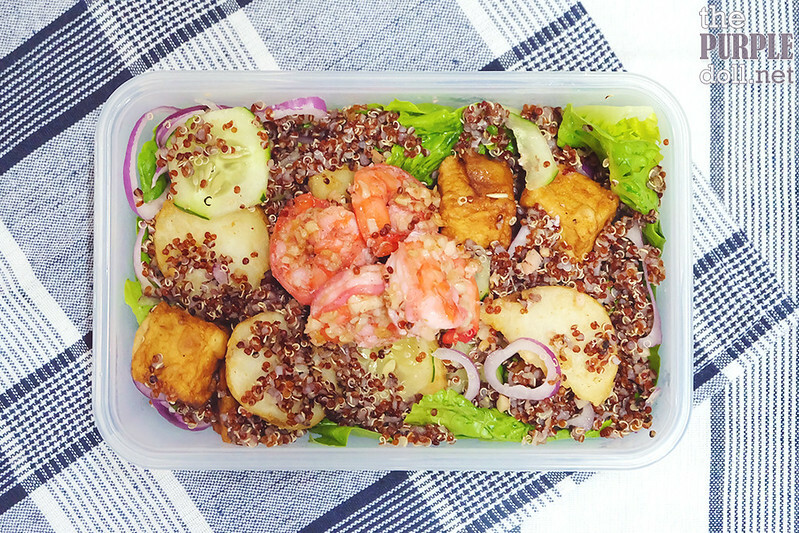 As for protein, I like to top my quinoa salad with tofu and garlic shrimps. 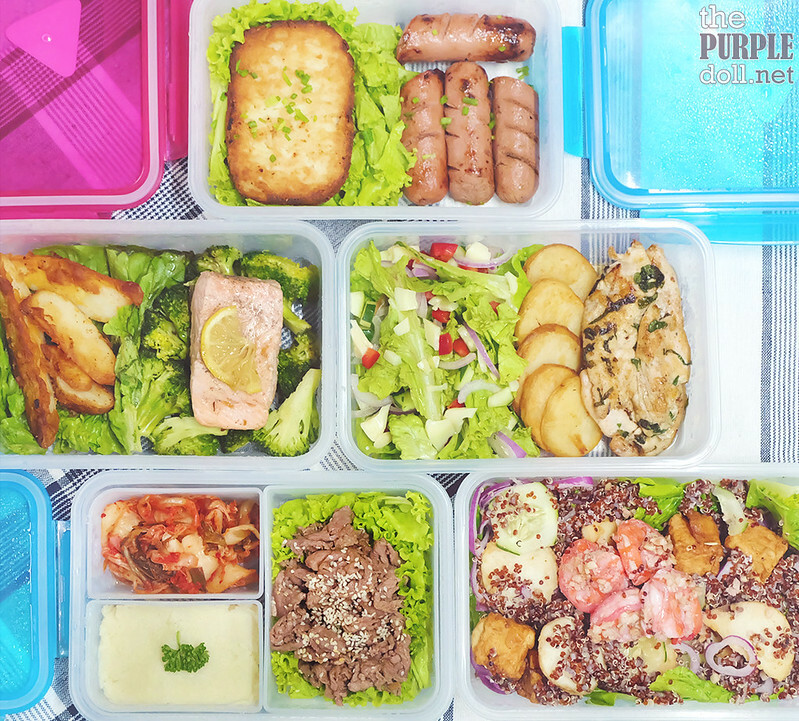 The carb for these meal prep ideas can easily be substituted with the carb of your choice. As for me, while I like consuming rice as my main carb, for meal prepping -- meaning you prepare your meals in advance, refrigerate it and consume at a later time, I find that rice isn't really that suitable. 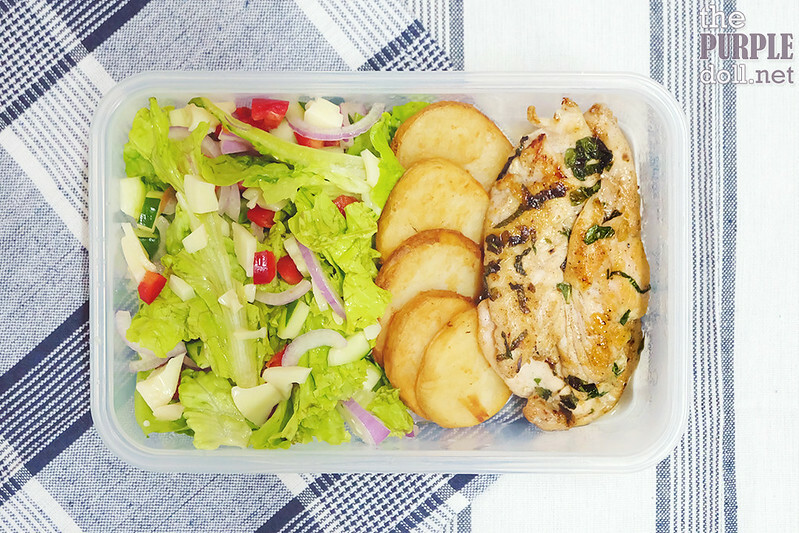 Potatoes on the other hand taste great with almost everything, either warm or cold, freshly cooked or even re-heated -- making it a preferred good carb for meal prepping. I've also been partial on using frozen and dehydrated US potatoes because of the convenience. No more peeling and boiling, which saves me a lot of time. If you didn't know yet, potatoes are actually nutritious. They're an excellent source of vitamin C, a good source of potassium (more than a banana), rich in vitamin B6, and contain a variety of phytonutrients that have antioxidant activity. Potatoes also naturally contain Resistant Starch (RS) which is a type of carbohydrate that’s “resistant” to digestion by human digestive enzymes. Limited existing evidence also suggests that RS delivers similar health benefits to dietary fiber and has been shown in animal studies and limited human research to enhance satiety, favorably impact blood lipid and blood glucose levels, and improve the health of the gastrointestinal tract and digestive system. No wonder including US potatoes in my meal plan makes me feel fuller than solely relying on greens for my carbs! For more information about US potatoes in the Philippines, please refer to Potatoes USA Philippines. Like I've mentioned on my Newbie's Guide to Meal Prepping, the important thing to remember is to have your fill of carbohydrates, protein and good fats, and to make your macro-nutrient allotment count. You can choose to fill your macro requirements with junk food, or load up on quality food with high nutritional value. Of course, the choice is yours. Also, please note that our bodies have different macro-nutrient requirement depending on age, lifestyle, fitness level, genes, etc., so you can adjust the portions accordingly. You can also substitute your preferred carbohydrate or protein to mix it up from time to time so your meals can always remain interesting. Eating healthier doesn't mean eating bland. You can always choose to enjoy healthy but tasty meals! Thank you for this article, I now have an idea to prepare for my husband's packed lunch.. I love this article. For 2018, I plan to have a healthier lifestyle as well but diet is really a struggle for me. I get tired if meals are the same every day so these meals are something that I will try. First dibs on Sanicare's NEW White Lilies!